With the summer heat slowly rising the mercury levels outside, you do not just feel irritated but also sapped of energy. Not just the heat outside, but sometimes, your own body heat starts rising and causes many health issues, ranging from headaches to weakness to acne and pimple eruptions on the skin. While there is not much that you can do about the heat outside, there are ways in which you can cool down your body. We tell you how to reduce body heat naturally so that your body is much cooler. This one is a no-brainer. 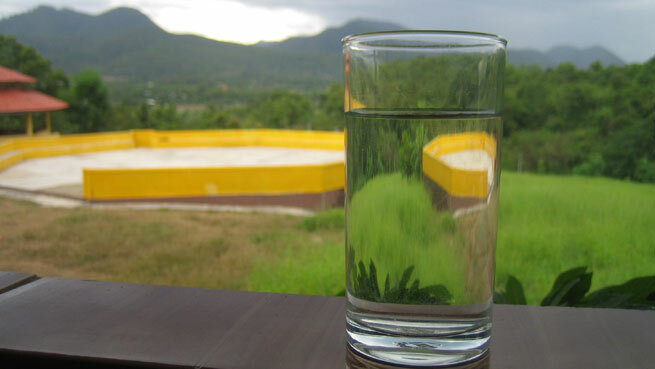 The more water you drink, the more heat is dissipated from your body. Also, your body remains hydrated and does not feel exhausted from the heat when you drink at least 8 glasses of water everyday. Other than mangoes, if one waits for summertime, it is for the red and juicy fruits- the sweet and watery watermelons. Dig into a slice in the middle of the day to get some extra water, fiber and a good dose of vitamins A and C. Apply some crushed watermelon on your face too for all round cooling. Honeydew melon, just like watermelon, is loaded with water. It is also rich in potassium along with being a low calorie fruit. Either have slices of the melon, or combine it with some chilled milk and sugar to make a refreshing cold drink. Cardamom is a spice that is known for its cooling effects. Boil a pod of cardamom in two cups of water and sieve and cool the water. Drink it up at regular intervals to reduce body heat. 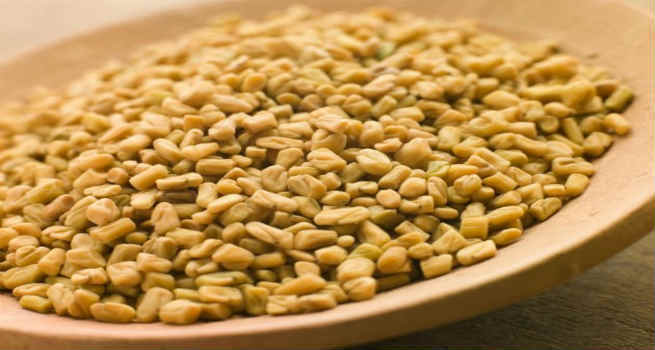 Fenugreek seeds is one of the most ideal remedies to counter heat. Soak a tsp of seeds overnight in a glass of water and drink up the water next morning. Crush the soaked seeds and apply it on your head as a hair mask for an ultimate cooling effect. You can also chew on some soaked fenugreek seeds to bring down body heat. Spices add heat to the food. So to bring down the body heat, avoid spicy foods. Think clean eating and consume foods that are easy on the digestive system- foods with lots of fiber and water content. Try incorporating leafy vegetables, cucumber, buttermilk in your diet. Cut down on consumption of sour foods and nuts. Nothing beats the heat like sipping on tender coconut. The water in the coconut is rich in vitamins and minerals and helps in reducing the effects of not just body heat but also dehydration, without adding anything to your calorie count. Drink the water from tender coconut every day to keep yourself fit and cool. There are forms of pranayama called Sheetali and Sheetakari pranayama which help in reducing the temperature of the core of the body. It involves inhaling cool breath through the mouth and exhaling through the nose. The pranayama helps cool down the body and also alleviates stress. Boil two tbsp of barley in two cups of water for about half an hour. Cool this liquid and sip on it at regular intervals. This will considerably reduce body heat. Both sandalwood and fuller’s earth have cooling properties. Make a paste of sandalwood powder or fuller’s earth with some raw milk and apply it all over the body before your bath. This helps in cooling down the body immediately.